The Excelsior Scholarship, approved in a budget over the weekend, offers free in-state tuition for students from families making no more than $100,00 a year. New York has become the first state in the country to offer free tuition to public colleges and universities, CNN reports. A budget approved on Saturday by the Assembly, and on Sunday by the Senate, includes the Excelsior Scholarship, a program Governor Andrew Cuomo introduced in January. 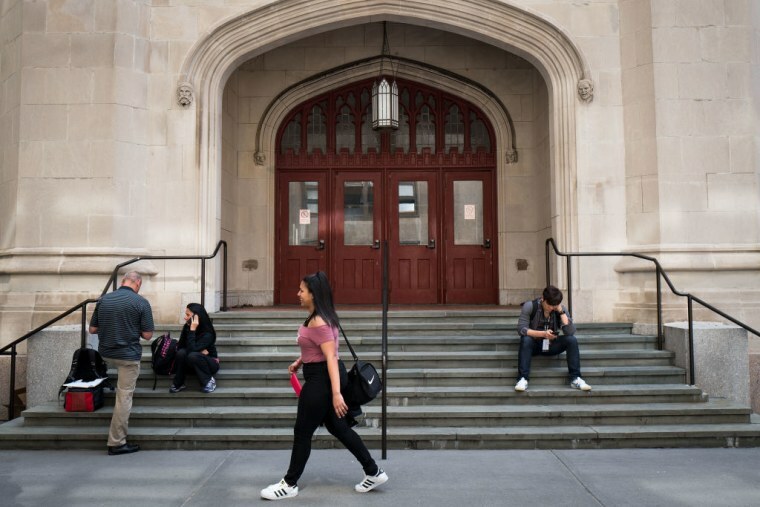 Under the new program, students whose families make no more than $100,000 a year are entitled to free tuition to both two-year, and four-year public colleges in New York. Undergraduate students who attend a State University of New York or City University of New York who qualify will be eligible for the scholarship starting this fall. Over the next year, the income cap will increase to $110,000 and will rise to $125,000 by 2019. Though students will not have to pay for tuition, they will have to pay for their room and board if they choose to live on campus. An additional provision to the scholarship requires students to live in New York for the same amount of time that they received the scholarship funding after graduation. If a student chooses to move out of state, they will be forced to pay back the scholarship as a loan. Governor Cuomo announced the scholarship in January alongside Senator Bernie Sanders. Sanders recently introduced the College for All Act in Congress, a bill that would eliminate public college tuition for all families making up to $125,000 and make community college free for all students.